William Thomas Nicholls was the son of Arthur and Helen Nicholls. In 1895 William T Nicholls married Emily H Matthews at Blayney, NSW. He died at Sydney in July 1932. William Thomas Nicholls was an estate agent in Rawson Place in 1930. His private residence was at 41 Mootamu Avenue, Kensington. 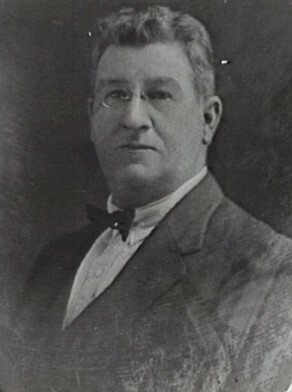 William Nicholls was Alderman for Phillip Ward, 1 December 1921 to 31 December 1927. He was member of the Works Committee, 1922-27, the Health and By-Laws Committee, 1922-25, the Finance committee in 1923 and 1925 and the Electricity Supply Committee, 1926-27.